0 Members and 105 Guests are viewing this topic. 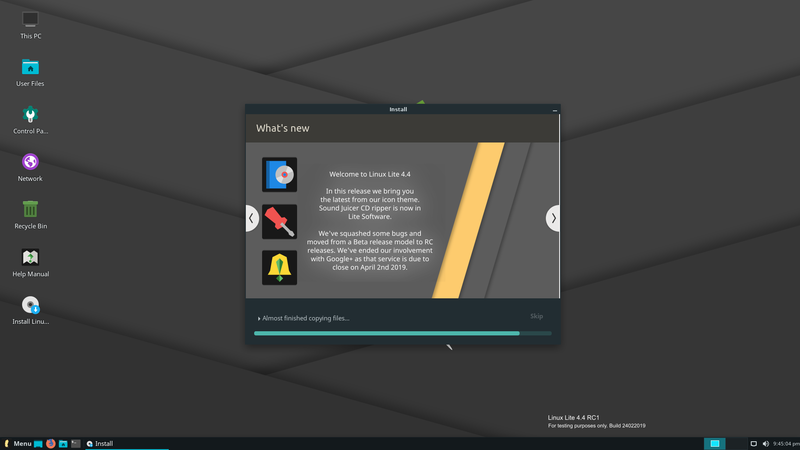 Linux Lite 4.4 Final is now available for download and installation. We have moved from Sourceforge distributed servers to OSDN as OSDN will help to finance our project. Their systems and mirror choices are virtually similar. RC1 was a solid release where no hiccups were reported. As such, this 4.4 Final is basically the RC1 with only the wallpaper changed. Therefore, if you have 4.4 RC1 installed but want the Final, RC1 IS the Final. One caveat, since there were no updates to the build from RC1 to Final, your first updates will be a big one. There is no upgrade path to or from Beta or RC releases. Login is automatic, no credentials are required. The image can be written to a 2gb or larger USB stick, or a writable DVD. Alternatively, you can use the dd command: sudo dd if=linux-lite-4.4-64bit.iso of=/dev/sdx bs=4M where 'x' is the letter of your usb stick. In linux to find out the letter of your usb stick, open a terminal and type: df -h It is usually listed as 'media' or similar. Please see the built in Help Manual if you require a more detailed explanation of this procedure. Upgraded without problems, thanks. Among the many advantages of Lite, many of us get to live in the future at upgrade time. Just installed on my VM to test it out. Upgraded it from 4.2 to 4.4 without a hitch. It seems a lot snappier than 4.2 so far. Just did the update on my laptop and so far so good. The major issue I had previously was when I connected it into its hp docking station and closed the lid sometimes it would not turn on immediately on the external screen. So far so good now. Updated laptop and all running without problems. Did image backups of my partitions, and got ready for the upgrade. Upgrade completed in less than 4 minutes. All working smooth and fast, as usual. Thank you, Jerry and Team. PS: The double-volume control is still up there on my top right corner. Replaced LL2.6 on my partners laptop with LL4.4. I think it's a great improvement and she should really like it. As you'll see in the announcement, double-volume control was not passed into the Upgrade. 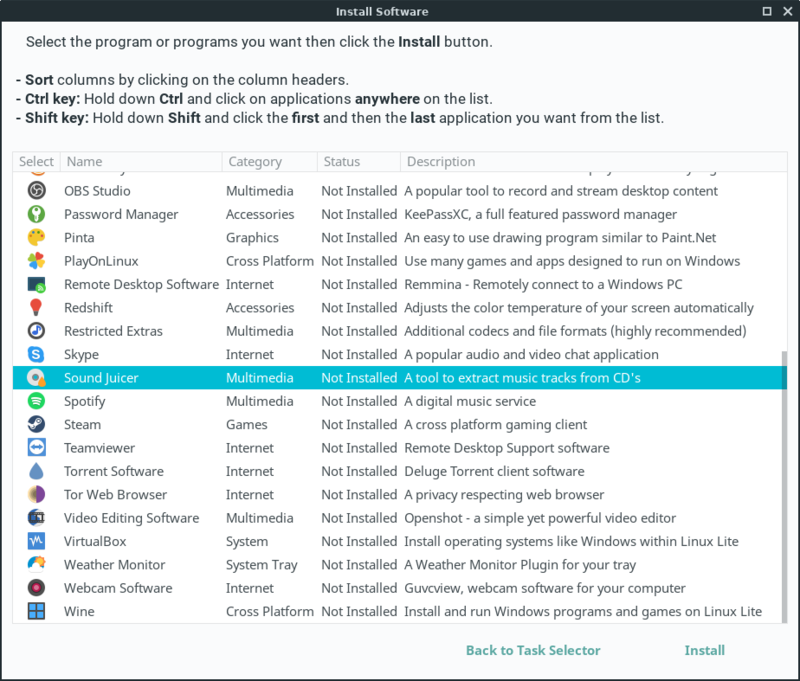 To fix, Menu, Session and Startup, Application Autostart, XFCE Volume Daemon - untick. Yes, Jerry, I found that; but it's not v4.4. So no UEFI version of 4.4 yet. Any chance you know timeframe on when it might be built? 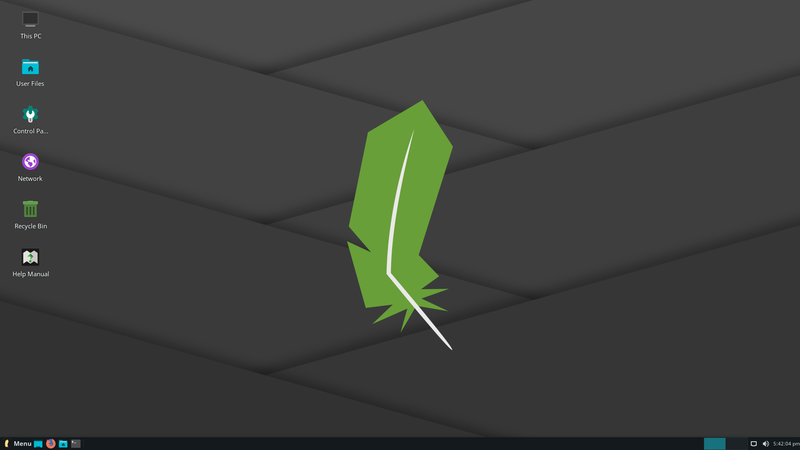 For those of you saying you just did the Upgrade to 4.4, please remember to update your Forum Profile to show that you are now running Linux Lite 4.4. Ironically, that goes for you, too @Jerry .